Software license to grant and deny access to unlimited users remotely. Manage your users on the go and restrict access by time, door and location. Manage unlimited users on the go. Perfect for large properties. This software license allows you to create unlimited user accounts in your Gogogate2 device. You can restrict the access hourly, defining time zones for each specific user, from 0h to 24h (ex: User 1: Monday: 9am-3pm; Tu-Fr: 8am-2pm / 3pm-7pm). Restrict your user's access by door and location (local or remote). You can choose from 3 pre-configured profiles: Total access (24/7 use), Restricted access (use from Mo-Fr: 8am-5pm) and 1-Day Access (limited to a specific date). The "admin" of the Gogogate2 device can manage all user accounts from a Smartphone or from a tablet, laptop or PC. Manage all user accounts remotely and securely from internet. Create users accounts from the app or PC in a user-friendly environment. The system allows you to copy-paste the user database from one Gogogate2 device to another. Kit for garage door. 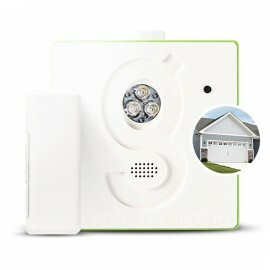 Includes Wi-Fi controller and wireless sensor. Gogogate2 will remotely open, close and monitor your garage door from an app on your Smartphone (iOS/Android). Kit for gate. 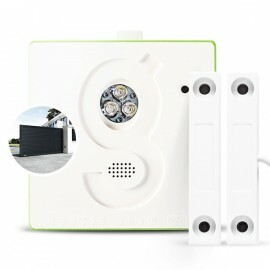 Includes Wi-Fi controller and wired waterproof sensor. Gogogate2 will remotely open, close and control your gate from an app on your Smartphone (iOS/Android). Software license to grant and deny access up to 100 users remotely. Manage your users on the go and restrict access by time, door and location.